The Zavodny family has been working for 30 years to restore the Wolcott Lilac Garden to its original glory. The garden was established 100 years ago. 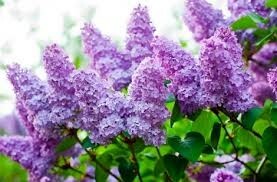 Bob Zavodny will guide us through the garden and he will share his challenges and celebrations as he expanded the garden to include many new varieties of lilacs. Hopefully we have planned our visit to be at the height of bloom. RSVP to Sally Roman via link or sroman3@mac.com or 440-248-3061. 10 minutes away from the Wolcott garden is the Kent State University Fashion Museum. Current exhibitions include Fashion Timeline, Beyond the Suit, and Fashion Meets Body. If you have not had the pleasure of visiting the museum you will greatly enjoy this experience. If you have been there before go again!